Ok, so I used to be the worlds pickiest eater. Don’t believe me, just as my poor mother. I still am a bit picky but mostly when it comes to the texture of food. I can’t do slimy. Unless I want to throw up, which I don’t. Ever. Anyway, we went to Costco yesterday and decided to buy some chia seeds (along with the rest of our groceries obviously) so we could give them another chance. 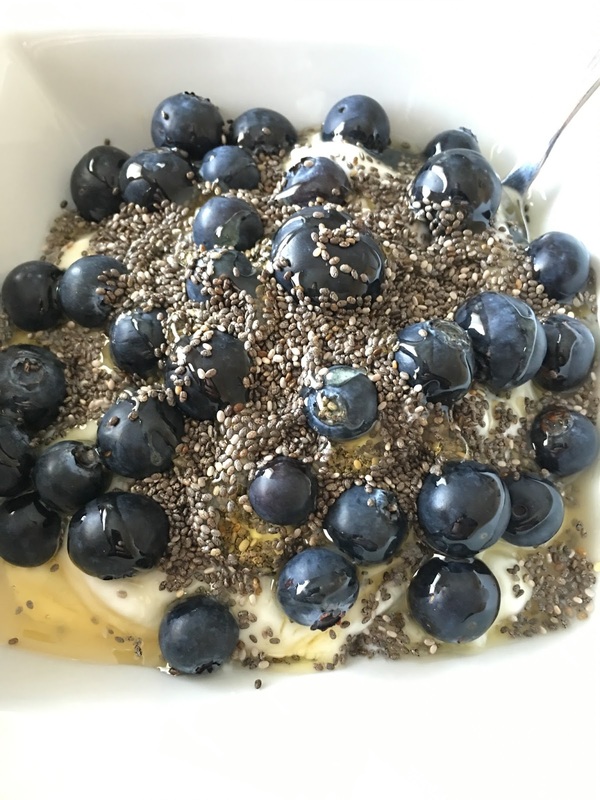 **Disclaimer: The only experience I have ever had with chia seeds was one of those Mama Chia (or whatever they are called) drinks and lets just say, it was slimy…. SO I was a little nervous today when I pulled them out to see how I could incorporate them into one of my meals/snacks. Long story short, I figured it out and do not regret my decision to buy them at all. Especially after reading about all the benefits of eating those little seeds! Lets just say, they are small, but are PACKED with goodness. A quick google search can give you all the information you’ve ever wanted about chia seeds. I feel stupid for typing this out, but honestly, I am the kind of person that likes to see exactly how much of each ingredient I need to put in or else I end up messing it up. (I can’t do the whole “I just threw this, this, and a little of that all together and Ta-Da!”) So there you go, its a fast, easy, healthy snack with a nice portion of protein (22 g! ), antioxidants, and fiber! !